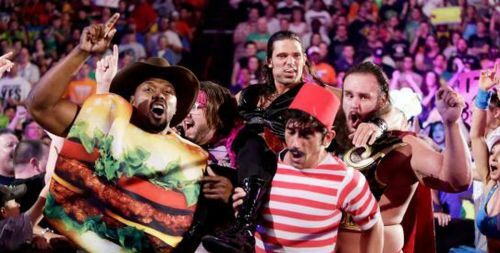 Former WWE Superstar Adam Rose has taken to his official social media account, so as to let fans in on the fact that he recently suffered a mild heart attack scare. Rose, who is all set to hang up his wrestling boots later this year, then went on to reassure fans that he's fine and at home. Adam Rose, whose real name is Raymond John Leppan, hails from South Africa and has competed in the sport of professional wrestling since 1995. He's presently 39 years of age. Rose eventually joined the WWE's developmental territories and worked for the WWE from 2010 until his departure from the promotion in 2016 -- Following which, he performed on the indie pro wrestling circuit. "Had a mild heart attack scare on Saturday...I am fine and at home already. Nothing to worry about." Besides, Rose had notably stated in multiple interviews over the past couple of years that he does intend to wrap up his professional wrestling career very soon. Furthermore, as we'd reported back in 2017, Rose noted that his aim is to move on to the next chapter of his life -- looking after his wife and kids, as well as pursuing business interests outside of the pro wrestling world. Adam Rose's retirement match is reportedly set to transpire at the Star Spangled Slammer event promoted by Atomic Revolutionary Wrestling in Cocoa, Florida on the 14th of June, 2019. Moreover, Rose has lately made it a point to emphasize that rather than sticking around for too long, he opines that he'd be better off stepping away from the sport altogether. Also Read: WWE Rumors: Former Tag Team Champions moving to SmackDown? Sportskeeda sends good wishes to Adam Rose aka Raymond John Leppan, and wishes the former WWE Superstar great health and success in his future pursuits.